A friend of mine posted a picture on Facebook on the eve of school’s return for 2016 and people went nuts (not in a good way). 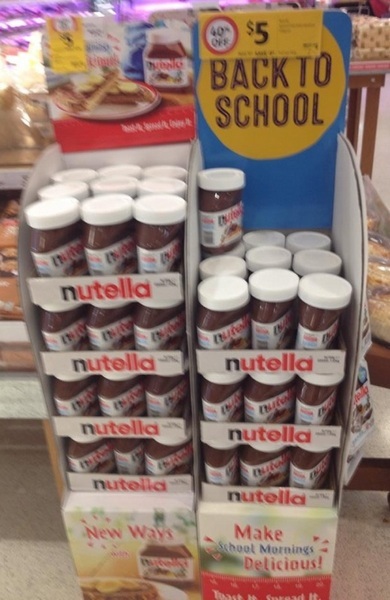 The picture showed a ‘Back to School’ Nutella display in the supermarket. She added a brief comment about nut allergies and the fact that school lunches and Nutella are not terribly compatible. She was absolutely shouted-down – comments about “food police”, the fact that people should be able to eat what they like, and that kids with allergies “just have to learn”, dominated. And it’s a tricky issue. On one hand, having ‘nut-free schools’ (or any other allergen), can create a false sense of security. Instead, all students should understand that sharing food is not on. That seems like a sensible, logical response. Now I’ll put on my ‘worried-parent-hat’. Yes, kids with allergies will eventually have to eat and make food choices in the ‘big, wide world’. But at present, we have more than ten kids in our school community who have anaphylaxis and more than fifteen who have severe allergies to certain foods. Some of these kids are very young and you have to wonder, would a five-year-old truly understand the consequences of having a little taste of their best friend’s absolutely delicious looking Nutella brownie? No. And I certainly would not want to be the parent who made that Nutella brownie and packed it in the lunch box (relying on my five-year-old to fully observe the ‘no sharing food’ policy). The issue was in the media last week when a Victorian school ruled out a range of foods including bananas, strawberries and watermelon because of particular allergies some students were managing. Of course, the headlines were extreme and read “Schools ban fruit!” but the reality was that the ‘ban’ only effected kids in some classes. Like most schools, KPS does not claim to be ‘nut-free’. Food bans are hard to enforce and it’s almost impossible to monitor every child’s lunch box (or what they bring in their pockets!). 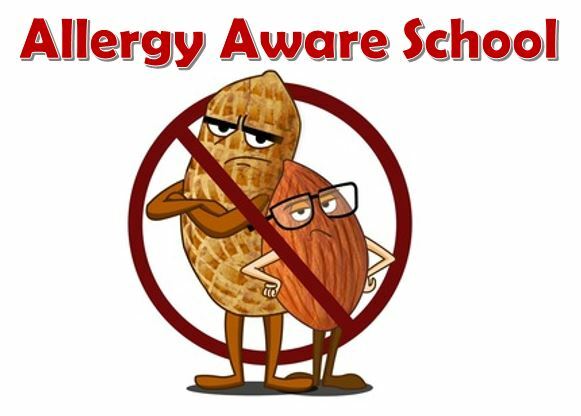 But while we have kids with severe allergies, ‘nut aware’ for the whole school community is reasonable. Furthermore, the parents in classes where there are students with particular allergies receive specific instructions about foods to avoid. Find more information in the school’s anaphylaxis policy. If you have specific questions related to your child’s class, speak to their teacher. This entry was posted in Parents, Student Well-being, Students and tagged health, healthy eating, policy by Kate W. Bookmark the permalink.